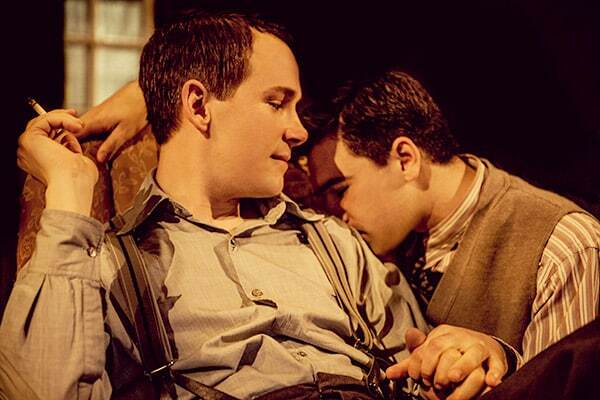 Kenny Morgan was the real life lover of playwright Terence Rattigan, a relationship that was a closely guarded secret in 1940s London. When Kenny fell for a younger actor, Alec Lennox, his life spiralled into despair until he committed suicide by gassing himself in front of a gas fire. The story has it that when Rattigan heard of his former lover’s suicide, he was unable to speak for twenty minutes. When he did, he said, “I have the plot of my next play. It will open with a body lying in front of a gas fire.” That play was The Deep Blue Sea, the character on the floor Hester Collyer. Mike Poulton’s introduction to the play contains sobering statistics. In 1949, the year the play is set, around 3000 people attempted suicide by coal gas. Those who survived, in the region of 300, faced prosecution and imprisonment, as attempted suicide was a criminal offence. 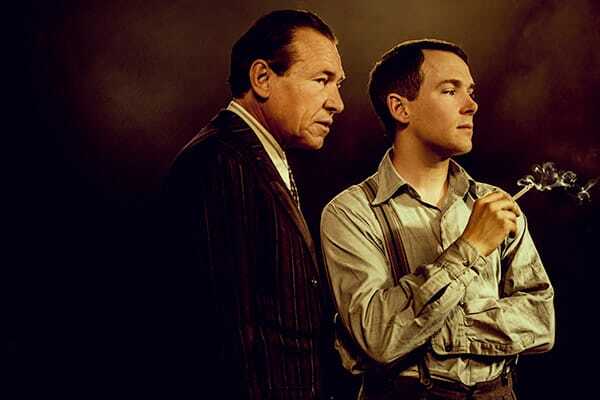 It is this world of secrets, duplicity, illegality and restraint that Kenny Morgan lives, and the production creates the period with forensic detail, through character, manners, setting and the most exquisite acting seen in London this year. The shabby bedsit design by Robert Innes Hopkins “reeks of failure” and Lucy Bailey’s sensitive direction patiently peels away the facade of niceness and good manners to reveal the devastation underneath. 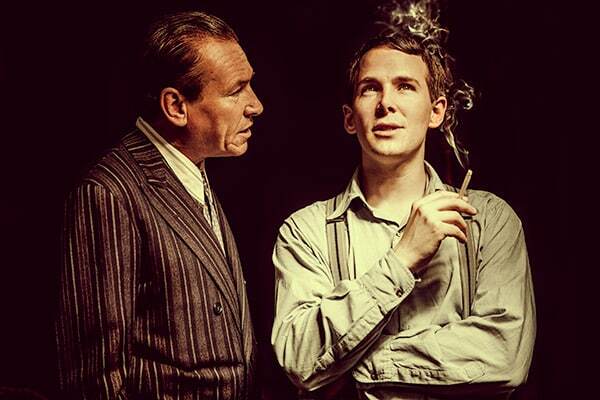 As Kenny Morgan, Paul Keating is outstanding, giving a sustained performance of despair and heartbreaking, yet powerfully portraying a man determined to make no return to being Rattigan’s “nasty” secret, living in a separate apartment, everything paid for, no dignity of his own. As Rattigan, Simon Dutton gives an astonishing and nuanced performance of man trapped by his success, his sexuality and society’s unforgiving eye, (particularly his mother’s). Rattigan says, “The public “me” is paymaster to the private “me”, and here we see his double life, his perfect manners and self-deprecation offset by his yearning looks at Kenny, exposing the depth of his love and longing. This is an ensemble of terrific performances. 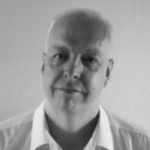 As the feckless Alec, Pierro Neil-Mee has the toughest job playing such a boorish, selfish uncaring, bisexual drunkard, but he manages to reveal the societal pressures that make him unhappy and lash out at Kenny. The opening scene is a wonderful tribute the opening of The Deep Blue Sea, with Marlene Sidaway’s excellent landlady Mrs Simpson dispensing opinion as fact and summarising the scene with disapproving one-liners. She is balanced by a beautiful performance from Matthew Bulgo’s kind and sensitive neighbour Dafydd Lloyd, the considerate side of society to Mrs Simpson’s damning verdicts. As struck off doctor Mr, Ritter, George Irving is outstanding with laconic humour, and a quiet fury at Kenny’s suicide attempt, when so many of his Jewish people had no choice of life and death in the war. Lowenna Melrose makes the most of her small role as Alec’s pick up Norma, punctuating his selfish self-denial with missiles of truth. Mike Poulton’s beautiful play may be the play that Rattigan really wanted to write, and giving these characters voices is a moving statement. Throughout, comments and opinions are made about actors and acting, about theatricality and role play, and this underlining of living double lives is exquisitely created. People keep asking Kenny if he needs anything, yet the one thing he does need, to live his life in an open and full manner, is the one thing that will be denied to him. His second, successful, suicide attempt ends the play and feels inevitable. It’s a little ironic that, in a time of cross gender, age and ethnic blind casting, multi-media work and when the theatre is trying to find the next big thing, a well-structured slice of naturalistic drama may yet be the best new play of 2016. Unmissable.